PUNE: Eleven fully grown trees on Raj Bhavan Marg were cut by civic authorities sometime between 1am and 4am on Sunday. The trees were felled to widen that stretch of road - from Savitribai Phule Pune University (SPPU) to Bremen chowk - for the city’s bus rapid transit system (BRTS) corridor. One of the trees cut was over 100-years-old, according to environmental activist Vinod Jain. Despite repeated attempts, head of PMC’s road department, Rajendra Raut, could not be reached. PMC’s tree officer Dayanand Ghadge also did not respond to phone calls till the time of going to press. The clandestine operation involved in cutting these trees has angered residents and activists, who allege that the Pune Municipal Corporation (PMC) has flouted all norms in the process. “This tree cutting is illegal as there was no notice put on the trees regarding the cutting, nor was there a public hearing arranged as per letters submitted by residents to the tree authority chairman,” says tree activist Sathya Natarajan, a resident of Phursungi. Environmental activists HT spoke to claimed the trees were cut down at around 3 am, when the road and area was deserted. Five trees from the Savitribai Phule Pune University (SPPU) square and six along the road leading to Bremen Chowk were hacked down by authorities. The 100-year-old banyan tree cut down stood in the verandah of a police chowky which was also demolished by the PMC some months ago as a part the road widening work. Earlier, in April, civic authorities axed nine fully grown trees, also for road widening work. Green activist Jain says he arrived the spot at 4 am as soon as he got the news, but the trees were already cut. “The PMC first demolished the heritage structure housing the police chowky and now the trees. We object to the fact that the authorities axed trees in the wee hours, clandestinely. It was not necessary to axe the trees as they were on the side of the road, beyond the pavement,” says Jain. “These trees are the public property of Pune. Hence, involving citizens should be made mandatory before unilaterally deciding to chop down such heritage trees which have been the identity of Pune university and home to many species of birds,” says activist Vaishali Patkar. Following the axing of these trees, the Area Sabha Association of Pune Members (Asap) have written a letter demanding assurance from the Pune municipal commissioner, who also heads the tree authority, that no trees or branches in Aundh will be cut without a hearing. Asap have also asked for a public hearing by November 5, 2017. 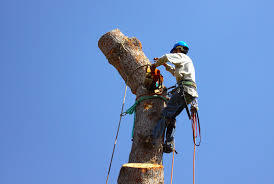 The tree authority is a body constituted as per directions from the National Green Tribunal (NGT), comprising members, including environmental experts and civic officials, to approve cutting of trees for development work.